I’ve always been interested in astronomy and the natural world. As a kid I remember bugging my parents to take me to the museum and planetarium on Sundays. 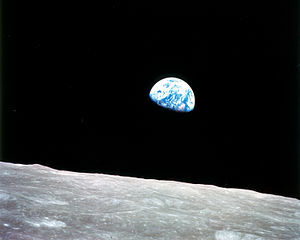 I even remember lying on my grandmother’s living floor watching the Apollo moon landing on a hot July afternoon. I think one of the reasons why I developed a passion for astronomy was due to a course, I took back in high school. It’s amazing how a seemingly small influence from the past can create a passion and shape someone’s future. In high school, I took an outdoor education program called Mountsburg. It was probably the best course I ever took. It motivated and inspired me to think about the natural world. We spent everyday in the woods, and I learned a lot about the natural world. Every morning we would meet at the school and a bus would carry us to a cabin in the woods. There, we would stay for the entire day until the bus picked us up and took us home. This went on for a whole semester and we would get four credits. It was an experimental program at the time, which blossomed with success. Now most schools in Halton region offer similar programs. Students learn about the outdoors and the environment. Part of the curriculum was astronomy. I remember being out one freezing night in February looking at Orion and the teacher explaining about the stars and nebulae. It was an experience I’ll never forget and I wish everyone had the same opportunity. That experience confirmed my interest in the sciences and so I went on to university to study physics with the hopes of becoming a professional astronomer. That reality unfortunately never materialized. My job is the furthest from astronomy than you can imagine. However, the seeds for an interest in astronomy were planted and it’s now part of my being. It’s something that nobody can take away from me just because of a class I took back in high school. This entry was posted in Comments, Insight and tagged Astronomy, Discover (magazine), Earth, Education, Physics, SunDay, United States, Universe. Bookmark the permalink.